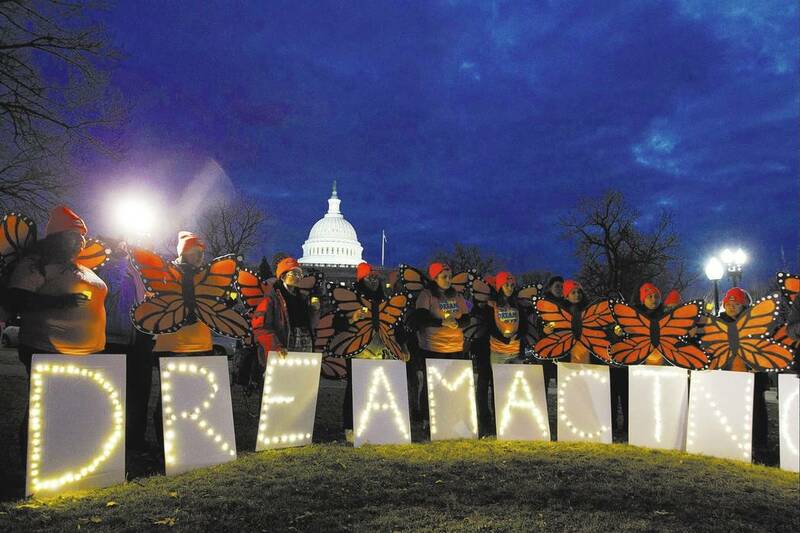 Nevada’s Dreamers are faced with the overwhelming uncertainty. We are a nation of immigrants. Nowhere is this more evident than in Nevada. Our state is home to people who have moved here to make a better life for themselves and their families. People from all walks of life, every U.S. state and many foreign countries now call themselves Nevadans. For generations, Nevada’s public colleges and universities have been creative foundries of opportunity where individuals of every background could receive the education they needed to rise as high as their talents and hard work would take them. Through our teaching, research, service and workforce and economic development efforts, the students, faculty and staff of the Nevada System of Higher Education have made significant contributions to our state’s well-being and economic health. That is the message Nevada’s higher education leaders recently took to our federal representatives in Washington, D.C., this February. Our objective was to share how federal immigration policies and practices impact our students, campuses and communities. We encouraged them to stand strong in support of our nation’s immigrant and international students. We were heartened by their responses. These students — “Dreamers” — came to the United States as children and are Nevada high school graduates. They attended high school here, work here and are part of our communities. They are Nevada’s future teachers, doctors, engineers, nurses, welders and advanced manufacturing workers. They will also fill many other professions vital to our state’s economic and cultural health. Yet Nevada’s Dreamers are faced with the overwhelming uncertainty of whether Congress can find a timely, bipartisan solution that protects those participating in the Deferred Action for Childhood Arrivals (DACA) program, which was rescinded late last year. We recognize the incredible challenges involved in congressional efforts to address the wide-ranging public policy concerns with our nation’s immigration system. These efforts will take time to develop and pass meaningful, comprehensive reform. We, however, have urged our federal representatives to focus on the immediate future with a narrower legislative solution for our Dreamers. While we also support long-term efforts for immigration reform, our overarching mission is to create a welcoming, supportive and inclusive environment for all of our students. The Nevada System of Higher Education and all eight of our institution presidents recently joined the Presidents’ Alliance on Higher Education and Immigration. This national group of more than 200 presidents of private and public colleges and universities around the country are working together to increase public understanding of how immigration policies and practices impact our students and the communities in which they live and work. Our Dreamers deserve the opportunity to continue their education and reach their full potential in the only place many of them have known as home: Nevada. Thom Reilly is chancellor of the Nevada System of Higher Education. Kevin J. Page is chairman of the Nevada Board of Regents.